Overtime at the WSOP. Event #24 was the first final table this summer to hit a hard stop time so we do not know who will own the bracelet but we know it will not be Phil Ivey. The Omaha/8 final table was full of stars with 17 total WSOP bracelets represented between Phil Ivey, Scotty Nguyen, Mike Matusow, and Meng La. Ivey had a huge chiplead at different times during the final table but was only able to “manage” a 3rd place finish. Scotty Nguyen and Joe Cassidy return later today to play it down to the bracelet with Cassidy leading Nguyen 3,000,000 to 845,000. There seems to be a little storm brewing around the daily WSOP Deepstack events. I haven’t followed the numbers too closely but yesterday’s 2pm drew an impressive 1,167 players for $227,565 prizepool and $46,078 for first place. Not too shoddy at all for the small price of $235. But some players have been making very valid complaints about how the tournaments are being handled by the staff at the WSOP. Rude floor staff, mishandled rulings, and one bizarre situation involving a moved stack with the player on break. Whether this is the norm or just unique situations, it’s hard to believe the WSOP would treat their customers as bad as it sounds. Even if these fields are not stacked full of your high rollers, their money spends just as well as Ivey’s. Insta Poker Pro App Launched – A new and different poker app from the minds of Antonio Esfandiari, Huck Seed, Daniel O’Brien, and others. It’s a training application as well as serving up game action with bonus in-app currency for correct play. Worth checking out and is available for free in the Apple App Store and will soon be available for Android. Phil Ivey seems to have taken quite a lot of flak for his actions in suing Full Tilt. Do you think that’s justified? I think the reasons for doing what he did were decent, but the way he went about them were pretty ridiculous. WSOP Player of the Year Update – 23 events are in books and Mr. Phil Ivey is sitting atop all else. 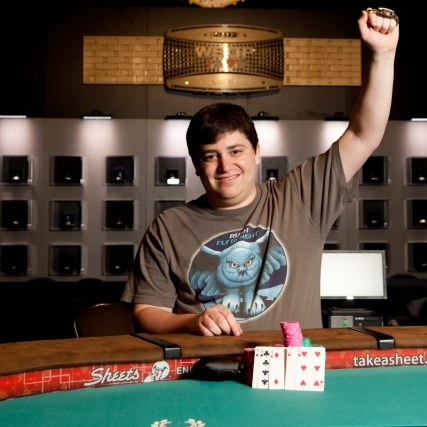 The player who beat him heads up for a WSOP bracelet earlier, Andy Frankenberger, sits just behind him in 2nd place. Sitting along in 487th place, Allen “Chainsaw” Kessler. Video of the Day – I don’t remember who posted this video a few days ago (feel free to drop a line and remind me) but it’s…. well I agree with someone else who said it would have been a great poker video.